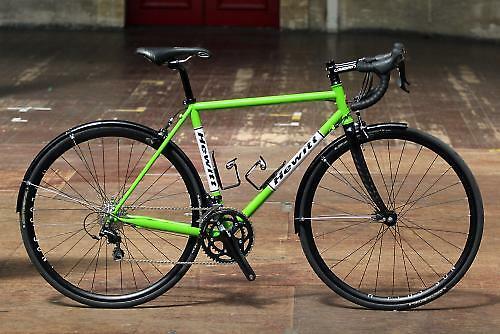 Well, here it is, the road.cc Bike of the Year 2014/15 awards. It’s been quite a year for cycling in general and it’s certainly been a busy year for bikes; we’ve reviewed more bikes in the past 12 months than ever before. Whittling down the many bikes we’ve tested in the last year hasn’t been an easy task. It’s been made harder not because of the sheer number of bikes we’ve tested, but because of the very high standard of bikes available at a wide range of prices, from budget to superbikes. Why 2014/15? Principally because these are all bikes tested during 2014, but 2015 model year bikes started arriving at the end of the summer, so many of these bikes are brand new 2015 models. What producing this list of the best bikes has made us realise is that there has never been a better time to buy a road bike - yes, I know we say this pretty much every year, but bikes just continue to get better. Whatever your budget, the quality available across the spectrum of price points is truly impressive. At the top-end, bikes are lighter, stiffer and faster than ever before. Meanwhile, entry-level budget bikes continue to offer fantastic performance and a huge return for your investment, with top-end technology clearly trickling down, evident in the frames and components. And of course there are a lot more disc brakes on road bikes, our top ten list is evidence of the rise of disc-equipped road bike models. Let’s explain how we reached our conclusions for the road.cc Bike of the Year 2014/15 award. We first rounded up all the best reviewed bikes (that’s bikes that have scored higher than 8/10), and then we grouped them into the seven categories (Best budget road bike, Cross and adventure bikes, Framesets, Commuter bikes Touring and Audax bikes, Best Sportive Bike and Superbike Shootout) and picked the winners from each. You can view the category winners, superbikes and sportive bikes in those three standalone articles. Picking the best bikes in each of these sub-categories was quite a task, but the marking criteria is pretty straightforward - the bike that won Superbike Shootout did because it offered the highest level of performance, price didn’t even come into it, and for the Best Budget bike, value was right at the top of the requirements we were seeking. The best bikes from those categories were then brought forward into the main road.cc Bike of the Year 2014/15 list, and then we set about picking the winner from the ten bikes in this shortlist. Much arguing then ensued until we all reached agreement. Choosing the best overall bike of the year then came down to settling on the one bike that best balanced performance, value, price, handling and specification. Really it's the best bike of the year that is the best package for the most people. You might not agree with our final order, and that’s fine. It’s not an easy job picking just ten bikes from the past year, given how many we've tested, but we feel this list is a fair and honest assessment of the bikes we've ridden in the last 12 months. To read our original reviews simply click on the bike name in the title. 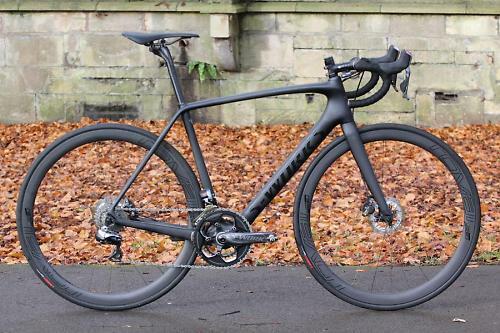 Kicking off our list is the brand new Specialized S-Works Tarmac Disc. 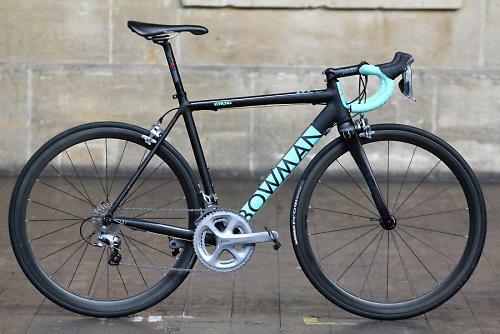 At glance at this list reveals the extent of disc brakes in the road bike market but whereas the other bikes to make it to our final line-up are long wheelbase endurance bikes, the Tarmac is a thoroughbred race bike. The Tarmac has been in the Specialized range for over a decade and has won dozens of professional and amateur road races in that time, but this latest redesign caters for disc brakes and the result is stunning performance with all the benefits of the hydraulic disc brakes. This model isn't cheap but it is an astonishing showcase for disc brakes on race bikes. 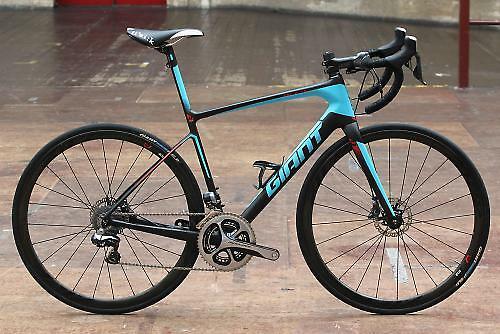 Giant’s long-running Defy has had the most radical overhaul in its history, with all the carbon fibre models redesigned around disc brakes and only being offered with disc brakes. We tested the range-topping Defy Advanced SL and were blown away with the comfort on offer, backed up with the sort of performance and responsiveness that makes you realise Giant really did their homework with the new bike. There was nothing much wrong with the old Defy, but the new model is a huge step forward. Disc brakes are only part of the story with the new Defy, but they’re a big part of it. Giant felt disc brakes were right for this style of bike and the type of cyclist buying this bike, and made the wholesale switch to disc brakes. Doing so allowed them to actually free up some weight in the frame so it’s lighter than the old version. They’ve also worked on increasing the comfort factor as well. With the brakes now located at the hubs the rear stays have been freed up from having to cater for a rim brake, and this allowed Giant to make the stays much skinnier, as small as possible and still be hollow in fact. This new skinniness and their lower junction with the seat tube has contributed to the extra vertical compliance the Defy affords. The biggest change though is the new D-Fuse seatmast (lower bikes in the range get a similar shaped regular seatpost) along with a similarly shaped top tube, and provides in the region of 11mm of deflection. The result is the new Defy is one of the smoothest and most comfortable bikes we’ve tested in the last year. Though we were swooned by the range-topping £7,999 Defy SL and its 7.29kg weight, it should be pointed out that the Giant Defy range, in carbon fibre and with disc brakes, starts at £1,199 with virtually the same frame, certainly the same geometry, so if this looks like the bike for you but your pockets aren’t deep enough, it’s highly likely there is a bike in the lineup that will suit your budget. In fact, if Giant had sent us a more affordable Defy to test, it likely would have been higher placed than 9th on the list. German direct-to-consumer brand Canyon have had a huge impact on British cycling and enjoyed massive success as a result, but until this year all their bikes were very much race focused offerings. That’s until they launched the all-new Endurace platform however, which we found provides 99% of the performance and speed of a race bike but wraps it up with a geometry that makes it more usable if you’re not a racing snake. The Endurace is an all-new frame, and the same frame is used throughout the range. We tested the range-topping Dura-Ace model costing just over £2,500, but we’re also testing the cheapest £1,299 model with 105 too. The frame is the same though, and is made from carbon fibre and on the surface looks very similar to Canyon’s race bikes. There are some key differences though, namely in the geometry. Essentially, they’ve lengthened the head tube so the reach to the bars isn’t a stretch. However the height increase isn’t as dramatic as some endurance and sportive bikes, it’s higher than their race bike yes, but it’s still quite low. We found it hit the sweet spot with a geometry that is more relaxed but won’t put off cyclists that still crave a fast and responsive ride. There’s more comfort from the frame too, with modified carbon fibre layup and their own VCLS technology found in the fork, rear stays and the novel split seatpost. All the bikes come with 25mm tyres which on the wider rims Canyon have smartly used across the range actually measure up closer to a 27mm - that extra volume provides a greater cushion of air between you and the bumpy road you're riding over. The most expensive bike in this list is the Storck Aernario Platinum, and also our Superbike Shootout winner. There are many accolades this bike is deserving of. It’s a very special machine that provides an incredible high level of performance with all the speed, stiffness and responsiveness any cyclist would be hard-pushed to not fall in love with. When riding fast is your main goal, few bikes do it with such aplomb. “Dazzling” is the word that Mat Brett used to sum up the performance of the Storck when he reviewed it earlier this year. He’s a man not easily dazzled, and he’s tested some stunning high performance bikes this year. The most redeeming aspect of the Aernario Platinum is its unparalleled stiffness, with no hint of flex or squirm when you really push it close to its limits, or your limits. Whether sprinting or attacking through corners, there is not noticeable flex from any part of the bike. It’s light too which certainly helps, but it’s not exceptionally light, on the money at 6.8kg with a Shimano Dura-Ace Di2 groupset and Mavic Cosmic Carbone SLE wheels. The thing is, as stiff as the Storck clearly is, don’t think it’s bumpy and harsh when you encounter a less than smooth road surface. Frame stiffness is often associated with a harsh ride but that wasn’t the case with this bike. Granted it’s not smooth like a magic carpet, but there’s enough compliance that the Aernario is a comfortable ride, partly down to the very skinny and flattened seatstays and Storck’s own Monolink seatpost. 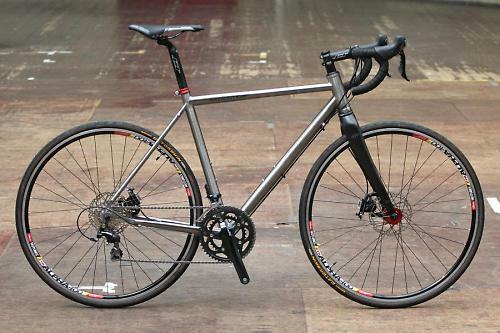 The second titanium bike in our top ten, the Sabbath September Disc is a titanium Audax and all-rounder that has been upgraded this year with disc brakes, and is a better bike as a result. We really liked the previous Sabbath September because it was engaging, fun and functional but the disc brakes make it more suitable to riding in a full range of weather. Ride through a typical British weather and you’re going to experience that full range. We like the Sabbath September Disc, and bikes of its ilk here at road.cc, because it’s the sort of bike that speaks to many UK cyclists. It’s ideal if you want a bike for commuting, for light touring, for Audax, for sportives, for just riding around on, the September Disc is good at all those things. Sabbath updated the frame for the disc brakes and in the process beefed up the 3Al 2.5V straight gauge seamless titanium in key place, most notably the dropouts and the top tube diameter (up from 31.8 to 34.9mm), and the chainstays were stretched so the frame now accepts 35mm tyres with mudguards, providing even more versatility. Those changes produced a ride that is more responsive and even greater fun to ride while still offering the stability and inherent smoothness of titanium of the previous model. If you want one bike to do everything on, and like the appeal and ride quality of titanium, the Sabbath September Disc is a fine proposition. A late entrant but a glowing review by Stu Kerton rocketed the brand new Bowman Palace frame right up our list. Bowman are a new UK brand with a focus on sharply designed aluminium frames with an emphasis on handling and performance. The Palace deservedly bagged joint first place as our Frameset of the Year. Bowman are big proponents of aluminium, we’re always saying aluminium offers excellent performance, stiffness and weight returns for the low cost (compared to carbon fibre) and this Palace frame is a top-notch demonstration of the material. Named after a popular circuit race series in South London, the Palace is unashamedly designed to excel in the hands of a racing cyclist, with the stiffness and responsive handling sought in a race frame. It’s light too, just 1,200g for a 56cm frame with the collection of custom shaped 6069 triple butted aluminium tubes and anodised finish. It’s nicely finished too, and they've cleverly given the frame and fork clearance for large volume 28mm tyres so you could introduce more comfort for longer, less aggressive and racy riding, with some wider tyres. It's also perhaps done with an eye to the future as the trend is moving towards wider tyres for racing with some pros already said to favour 28mm tyres. In a world where most manufacturers trumpet internal cable routing as a radical new design feature, the Palace has simple external cable routing, a boon for the home mechanic and for easy servicing. Perhaps the highest praise, and proof that the Palace has earned its place in this list, is the revelation that it pushes the Cannondale CAAD10, the benchmark aluminium race frame, extremely close, but in some ways the Bowman manages to be just a little bit better. For a debut frame to throttle the opposition so convincingly is impressive stuff indeed. 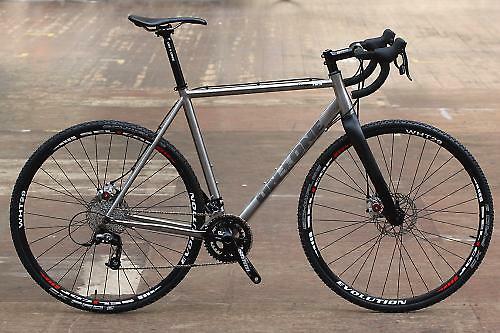 In at number four is our Best Cyclo-cross Bike winner, the On-One Pickenflick. With a smartly designed titanium frame and carbon fibre fork and competitive parts package, the On-One offers a whole bike for the usual cost of a titanium frame, making it a bit of a bargain. And since we tested the bike, On-One have upgraded the specification and it now comes with a brand new SRAM Rival 22 hydraulic disc groupset, but the price has gone up by a £100. The bike we tested came with a SRAM Rival groupset and Avid BB7 mechanical disc brakes, which are very good brakes, but the hydraulic upgrade is impressive for the small extra outlay. As well as the specification change, the Pickenflick frame has been updated for 2015, not as much as they orginally intended (there was talk of more of a road focus) with the latest frame having bigger tyre clearance and and more chainring clearance at the chainstays. The Pickenflick has all the credentials for blasting around the woods enjoying the full appeal of cyclo-cross riding, and equally there’s nothing to stop you lining up for a 1-hour cyclo-cross race on a Sunday afternoon. On-One recognise there’s a growing number of people choosing cyclo-cross bikes for mixed surface riding, a lot of road riding with some off-road riding such as bridleways and canal towpaths chucked into the mix. There are mudguard mounts making ideal for a year-round bike, for winter commuting to summer dusty trail blasting. Equally you could set the On-One up for a spot of gravel or adventure riding, there’s space for up to wide tyres in the fork and frame giving loads of different tyre options. Rounding out the podium is the fabulous bespoke steel frameset from British brand Hewitt. The Alpine Audax, which we tested as a frameset, but complete bikes are also available, is a brilliant example of a really well designed steel road bike that is fast and comfortable over the long distances it is designed for. As it’s bespoke the frame can be customised down to the tubeset of choice, starting from Reynolds 631 up to 953 stainless steel, we rode a Columbus Life tubed bike which proved to be light, stiff and very responsive. For embarking on an Audax, or even a sportive, or simply for a light and fast winter riding bike, the Alpine Audax is perfectly suited. It is a great example of the perfect year-round British road bike that with its mudguards is fully weatherproof. Each Hewitt frame is built to order, to the precise measurements of each customer, in the UK too by Andy Robinson, and that’s part of the appeal of the Hewitt, knowing who actually made your frame. It might have a very traditional look but the the Alpine Audax has some thoroughly modern touches like oversized tube profiles, a semi-compact top tube and flattened chainstays. 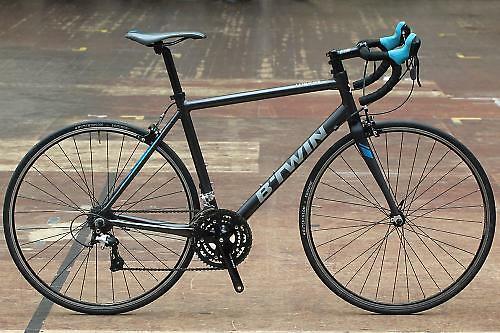 The B’Twin Triban 500 SE snuck in at number too after being awarded Best Budget bike. There are few bikes that offer as compelling a package as the £330 Triban (£380 when we tested it) and what we really liked about it wasn’t just the lightweight pricetag, but that there has been no compromise in performance. Often bikes at this sort of money are heavy, slow and lack any sparkle, but the Triban 500 SE did sparkle. And it wasn’t heavy. And it sure as wasn’t slow. Quite the opposite, we were won over with its speed, certainly fast enough for anyone wanting to get into racing if that appeals to you. B’Twin impressed with the high quality specification too, with a carbon fork at this price just amazing, and the gear shifters, brakes, wheels and tyres all up to the task. Really, this bike came this close to the top because it represents such an appealing package for anyone new to cycling, with a bike that won’t put anyone off become a cycling enthusiast. Last year the Cannondale Synapse Carbon Ultegra very nearly pipped the winning Bianchi Infinito, but it did grab the Best Sportive bike award. The past year though has been a year in which we’ve seen the rapid spread of disc brakes and they’ve had a huge impact on endurance bikes such as the Synapse. So this is very nearly the same bike as that which came second last year, it’s the same price, the specification is nigh-on identical, but it comes with Shimano’s very excellent mechanical shifters with hydraulic disc brakes. It’s still early days for disc brakes on road bikes, but Shimano put their vast mountain bike disc brake experience to excellent use and these RS685 disc brakes are hugely impressive. Cannondale should be applauded for the excellent and very clean integration of the brakes onto the bike, with internal hose routing everywhere - in fact it’s a better looking bike, in our opinion, than the regular Synapse on which it’s based. Plus of course you get the same excellent ride of the Synapse frame, with all its comfort boosting tube profiles and carbon fibre layup, and a geometry that perfectly suits a wide range of cyclists. If you’re not into racing but you want a high speed carbon fibre bike that isn’t actually any slower than the company’s own intended race bike, the SuperSix Evo, but do like a bit of extra comfort for smoothing the road - and the 28mm tyres really helped here too - and want more adjustability with the handlebar height, the Synapse is a very compelling package. 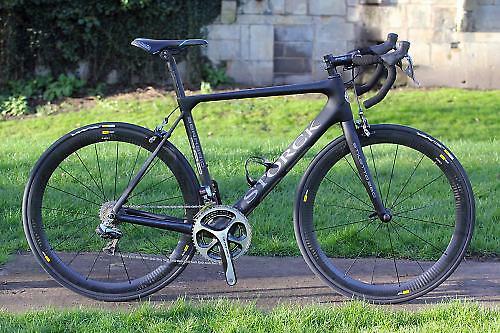 There has been a slight weight increase over last year’s bike - we’re not saying it’s perfect, it also doesn’t have mudguard mounts - but the benefit of the disc brakes make this a much better package than last year, with all-round performance that helped it clinch the road.cc Bike of the Year 2014/15 award. In our mind the Synapse wins because it is the most complete package with a great ride, performance and technology, both in the frame and the disc brakes. Not only did the Synapse win the overall award, it walked off with the Best Sportive Bike too, proving just how good it was. It sets the benchmark high. Discs and real world riding bikes? Kudos Road.cc, kudos. Is the Synapse actually in stock anywhere? I tried to get one before Christmas and was told it hadn't been released. I have also been looking at the 'Dale cadx disc. Looks luvverly and having a cross pr6 am not at all worried about running an aluminum frame on my best bike. Bit puzzled that the Kinesis ATR gets 3 category places, including best frameset, and then doesn't hit the top 10 overall. Why is it that last year's best bike of the year - the Bianchi Infinito CV did not even make it in the top 10 this year?! Last year you described the bike ride as "astonishing" and the CV vibration dampening tech as the biggest break-through in bike manufacturing, or something like that. At any rate, it is astonishing to me that this year that same bike is not even in the top 10. Can you please elaborate on that?! the bike of the year is compiled from the bikes we test during the year. we didn't test the infinito cv in 2014. Epic Cycles got some stock in a couple of weeks ago. They're in the process of swapping Ui2 onto the base Synapse Ultegra Disc for me. £650 for that upgrade which seemed quite reasonable. Bye bye Bowden cables, I tentatively look forward to a future of bleeding road bike brakes and never cleaning my rims. @bobinski - Have ridden CaadX5 extensively, v nice but bit on the heavy side & under-geared for proper road stuff. Great for commuting though. And ace for Cross. As a result, massive fan of disco brakes. UCI should force pro peloton to use em in future. Let us know what you think of the ride when you get yours and how it compares to what you are riding now. The logo on the front page is a bit misleading though, because it states "bike of the year". You have to read the subheading to realise that it's limited to those that were tested (which does make sense, not criticising). And even then, that's of limited value unless you know what was, and was not, tested this year. So ndanaylov's confusion is understandable. Unless there are significant reasons why the current season's iteration of a past winner would not be expected to be relevant to that tested (and in the case of the Infinito CV the only changes that I'm aware of over last year's version are the updates to the Camgagnolo groupset), some comparison would be commendable. The Infinito CV disc was reviewed in 2014, so I guess we can assume it just wasn't good enough to make the top 10. On top of that the next shipment arrives in the UK today - so there should be plenty to go around. Particularly the Storck since it has 399mm chainstays and so would test Shimano/Specialized claims that 420mm is necessary unless you have non-standard hubs. As for the "one bike to rule them all" theme, bike24 are also doing the Simplon Inissio Granfondo, with mudguards and rack mounts, but it's almost a cyclocross bike (the same frame is sold in a CX build). Last time I looked the Cannondale CAAD10 was only available with SRAM. Its like having a personal shopper! But it also didn't stack up well against last year's winner...the Infinito CV ('boring brakes' version). Fair point. 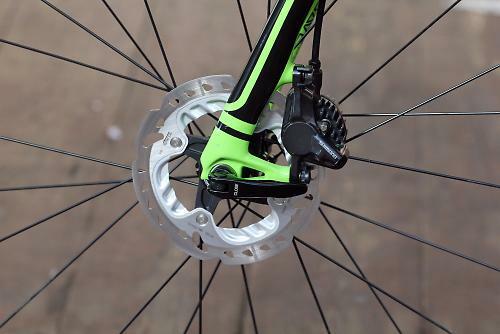 It's interesting that the introduction of disc brakes can spoil the ride quality of a bike. I'd love to know where the mudguard mounts for the Pickenflick are, they're definitely not visible on On-One's website. I built it myself, got the frame, bars, seatpost, etc from bianchistore.de. Seemed to take forever to be delivered though! The BB is from praxis works and it's excellent, no problems at all with it! 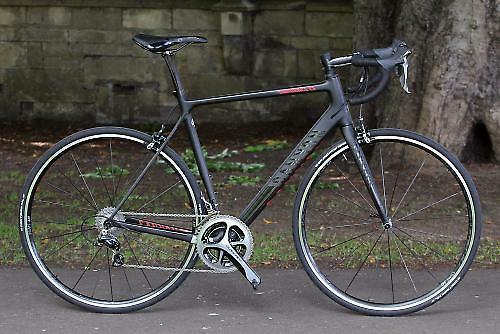 I have a 2014 Cannondale Synapse Ultegra 58cm and whilst I have not tried lots of expensive bikes I found the Cannondale so comfortable for my type of riding as a 49yr old 6'3 14.5st man i.e. 45 miles on a Sunday morning and a couple of as fast as I can go 20 milers in the week. I absolutely love the bike and compared to the 105 2013 Synapse I have, they are a mile apart in gear change smoothness, weight, acceleration, comfort, up hills (very important when your old) stopping (in the dry). One thing I would say is the standard breaks are rubbish in the wet, they just seem to melt. I live in Swindon and the roads are probably the same as everywhere else (crap) but the Synapse Ultegra has been fantastic here, so for the money the Ultegra Synapse package is all I need as my riding is all about fitness and being comfortable while doing it plus the bike looks great too. I ordered an Infinito CV (full build) from bianchistore.de on 10 August. After weeks of waiting they delivered the wrong colour, so it went back. The second delivery had a broken seat stay courtesy of UPS. The third delivery was also damaged by UPS. I'm now trying to get my money back. Fed up with bloody bianchistore.de. I've PM'ed them to clarify. As you say, they're not visible and, unlike my PX CX XLS, the fork is clearly not drilled. 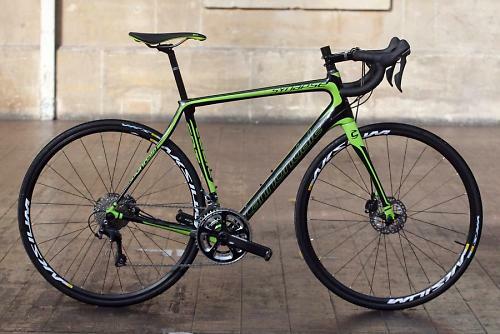 Ordered the synapse ultegra disc from All Terrain Cycles just before Xmas and was told it wasn't due in till April! ordered it anyway thinking i would ride my old bike till then. But to my surprise got a phone call from All Terrain saying they had got it in , now it's sat proudly in my kitchen, gleaming. The trouble is now, do i take it out and get it mucky, then it will have to go in the shed, or do i just sit and look at it? it's soooo beautiful!!!!! Got the bike on Friday. Weighed at 8.5kg without pedals. Snapped a Di2 wire putting the seatpost in. Fixed it. Fitted dyno wheel and Luxos U light. Rode in to work this morning. First impressions: deeply impressive bike. The hydro brakes and Di2 are amazing. The ride quality on the 28mm tyres @100psi is smooth and fast. It feels a little big though, even though I have shorter reach and the same drop as on my race bike (Canyon Ultimate AL). Not big and ponderous like a cyclocross bike, but not snappy like a race bike. Out of the saddle feels good but I don't feel like I want to sprint everywhere. The Di2 is the icing on the cake, but those brakes are really something. Such lovely modulation. There's a lot of lever travel but it's not slack and then grabby like cantis or cable discs, there's a little bit of free stroke (necessary for the drops unless you have very big hands) and then loads of linear progression. With rim brakes you have two sets of surfaces to think about - the braking surfaces and the road surface. With discs there's only the contact patches to think about because the discs just work. I like this bike a lot.